Quick dessert ideas are useful when a dessert is needed right away or if you just want to make a dessert without using your oven. Some quick dessert ideas are as simple as they are delicious. This apple slush recipe can be put together quickly. Peel the apples, letting them rest in a bowl of cold water with a splash of lemon juice in it to prevent the apples from turning brown as they are peeled. Grate the apples using the course side of a box grater into a bowl. Do not grate the core. Drizzle the rose water and lemon juice over the grated apples. Chill the grated apples for 30 minutes. Serve with a bit of crushed ice. For this quick dessert you need to make some instant vanilla pudding first. Just follow the instructions on the pudding mix box and once it's firmed and set, move on to the banana and mascarpone recipe. Mix together the mascarpone cheese, prepared pudding, and yogurt. Peel bananas and slice diagonally about 1 to 1 ½ inch thick slices. Place the banana slices in a bowl and pour the lime juice over the bananas. Toss until the bananas are coated in lime juice. Divide the mascarpone mixture in half. Divide the sliced bananas in half. Place an equal amount of the mixture into 6 dessert bowls. Place an equal amount of the bananas into the bowls. Cover the bananas with the remaining mascarpone mixture. Top each bowl off with the remaining bananas. Sprinkle each bowl with the chopped nuts. Drizzle with the maple syrup. This dessert is so quick to make you might find that you make it once a month. If you like, you can warm the ricotta cheese using a Bain Marie but I happen to like this dessert as a cold dessert especially when the weather is warm. Using 4 bowls, place ½ cup of ricotta cheese in a bowl. 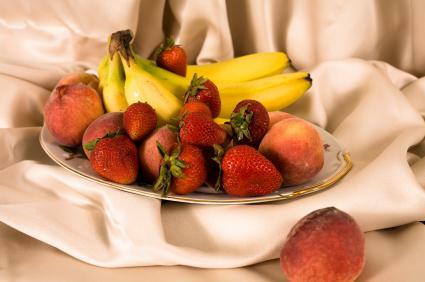 Top with ¼ cup of fruit. Sprinkle with cinnamon or nutmeg if you like.